The University of Arizona is formally commissioning the new $6 million Landscape Evolution Observatory (LEO) during a two-day program at Biosphere2 north of Tucson in the Catalina Mountain foothills. The concept of LEO is that "Scientists plan to study how water moves through mountain landscapes and how ecology and landscapes co-evolve in these unprecedented, one-million-kilogram experimental structures." Panel discussions are underway today with leading scientists and science policy experts from around the world on how to take best advantage of this cutting-edge facility and develop a sustainable business model. There are interesting opportunities being presented on leveraging the Biosphere2 and LEO resources for local K-12 education, college level training for students from across the country, and how the facilities fit in with rapidly developing international programs in sustainability. The call for papers for the 2013 joint Arizona Geological Society - New Mexico Geological Society Fall Field Conference is now out. This traveling field conference will shadow old Route 66 from Flagstaff, Arizona to Grants, New Mexico! The pre-conference field trip will take place at the Grand Canyon. Day 1 will include stops at S-P and Sunset Craters near Flagstaff before we continue on to Meteor Crater. Day 2 will focus on the geology, archeology and other features of Petrified Forest National Park. Day 3 will conclude the conference at Mount Taylor and there will be an optional field trip to the Rio Puerco after the conference. Highlights of this conference will include geology of the Grand Canyon area and the San Francisco volcanic field near Flagstaff, as well as stratigraphy, paleontology, paleomagnetism, archeology and mining endeavors in the Petrified Forest Park area and an update on the volcanic stratigraphy of Mount Taylor. The organizers encourage submissions of papers related to geology along the entire Route 66 corridor from Williams, Arizona to Grants, New Mexico. Papers for the 2013 Guidebook will be due by March 1st, 2013 to co-organizers Steve Semken (Arizona State University) or Kate Zeigler (NM Highlands University). Please note they must be reviewed prior to submittal to a co-organizer. Please send a co-organizer a brief email with a draft title for your paper so we can better identify gaps in our program. 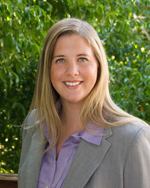 Governor Jan Brewer has named Vanessa Hickman the new Land Commissioner for the Arizona State Land Department, replacing outgoing Commissioner Maria Baier. Ms. Hickman [right, credit Rose Law Reporter] has served the Land Department as Deputy Commissioner since 2009. Previously, she was Deputy General Counsel to Governor Brewer (2009), and worked in private practice for the law firms of Withey Morris; Wilenchik & Bartness; and Wilcox & Wilcox. Maria recently announced she is departing the Land Department in order to accept a position as CEO of the Sonoran Institute. She served the State of Arizona as Land Commissioner since June 2009. During her tenure, she was responsible for the oversight of more than 9 million acres of state trust land, and led the Department’s auction of parcels in order to generate an estimated $560 million for the Trust – with public education as the single largest beneficiary. Maria also played a lead role in bringing renewable energy projects to the state, including implementing Arizona’s first renewable-energy mapping system and helping secure large-scale solar and wind projects. The leadership transition for the Land Department is effective November 29, 2012. Douglas Shakel, AGS VP of Field Trips, retired Pima Community College geology faculty member, activist, world traveler, brother, uncle, friend, and student of life passed away on November 19, surrounded by some of the many people who loved him. They will all miss him dearly. radar navigator in B-52s, and was honorably discharged in 1967 after attaining the rank of Captain. in the creation of Catalina State Park, 5500 acres of foothills, canyons, and streams with magnificent saguaros and world-class birdwatching. destinations including Morocco, China, Tahiti, Thailand, and Turkey were often the highlight of his students’ academic careers. He kept in touch with many of them until he died. After retirement, Doug continued intellectual pursuits. As VP of Field Trips for AGS, he led many wonderful and well-organized trips and authored exceptional guidebooks. He led trips for the Arizona Sonora Desert Museum, gave talks at the Tucson Audubon Society “Institute of Desert Ecology,” and served on the Pima County Flood Control District Advisory Committee. In 2012, Doug took on the daunting task of organizing and writing guidebooks for all of the field trips for the 48th Forum on the Geology of Industrial Minerals. The organizers were amazed that one person could do it all, and do it so well. Doug leaves behind an astounding number of friends, his sister and brother-in-law, Kay and Larry Cole, with whom Doug was very close, his nephews, Doug and David, and ex-wife and good friend, Carolyn Lee. Why so few women in mining? The U.S. mining industry needs to pay attention to a report from Carleton University's Centre for Women in Politics and Public Leadership. 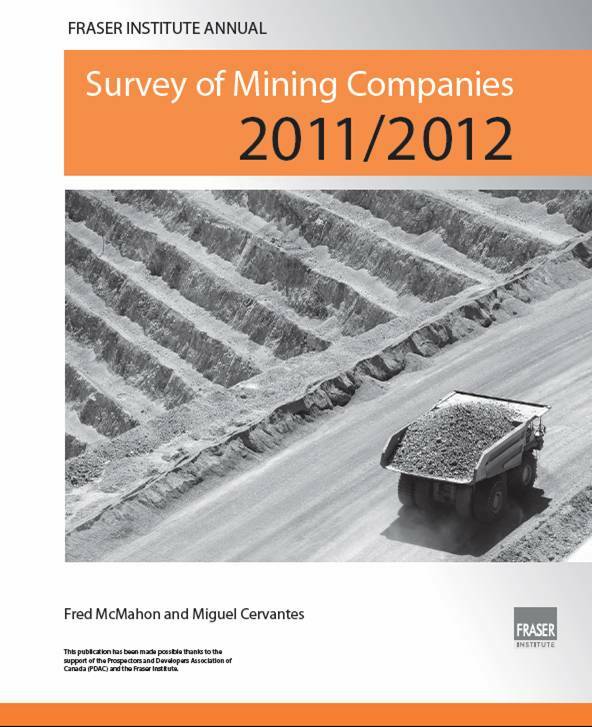 A review of the problems and their causes suggests that the U.S. mining industry probably has similar problems. "The Canadian mining industry provides an important contribution to Canada’s economy, accounting for 4.5% of Gross Domestic Product (GDP) and 23% of Canadian exports in 2011. Moving forward, however, the industry faces key challenges, such as serious labour shortages due to an aging workforce, requiring strong recruitment of new talent. However, as of 2006, female employees represented only 5% of workers in such occupations in the industry suggesting additional barriers for female participation other than the labour shortage of women in the industry." Among the key conclusions are that "...supply and demand arguments, that consider women’s underpresentation to be simply as a result of a smaller talent pool, are not correct. More specifically, the traditionally male-dominated workplace culture and its infusion into working values and styles, as well as communication practices, and lack of support for managing family responsibilities, pose key obstacles for women’s advancement to executive positions." The Carleton report identifies findings, best practices, and recommendations that demand the attention and action of all of us who are running organizations that need the best and brightest. 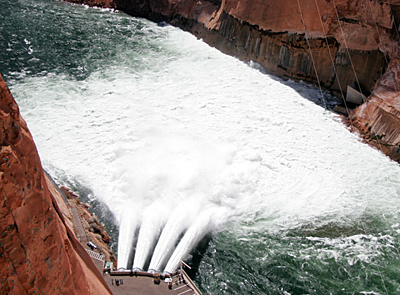 The latest experiment to rebuild sandbars and beaches on the Colorado River through Grand Canyon began last weekend and was expected to drop the level of Lake Powell by 2.5 feet by the time it ended last night at 7 p.m.
Nov. 19 - bypass tubes open at 12:00 p.m. - Nov. 23 at 7:00 p.m.
AZGS is diving into the Black Friday craziness with the biggest sale we've ever offered. Almost everything in our recently remodeled and greatly expanded Arizona Experience retail outlet is 25% off, with additional buy-one, get-one specials. The Arizona Experience store includes the Tucson franchise for the complete Arizona Highways product line as well as serving as a one-stop shop for a growing array of publications and products from other state and federal agencies. Our selection of Arizona minerals, Mata Ortiz pottery, and other Arizona-made products will surprise you. And of course, we carry the complete inventory of USGS topo maps for Arizona, over 2,000 titles. To sweeten the pot, we are giving away older topo maps with each purchase to use as unique gift wrapping paper. The store is open 8am-5pm M-F at our downtown Tucson location in the State Office complex. It's only a block off I-10 at Congress, with free parking in the rear, and no construction. Well, enough shameless promotion. We do want you to come by and discover the new store and a Black Friday blowout seems like a good way to introduce you to it. We're sorry to report that Doug Shakel, well-known Tucson geologist, passed away last night as a result of a very aggressive cancer. The Coronado National Forest (CNF) will soon be advertising a permanent, full‐time GS‐1350‐9/11. The purpose of this Outreach Notice is to determine the potential applicant pool for this position and to establish the appropriate recruitment method and area of consideration for the advertisement. If you are interested in being considered for this position, complete the outreach response form below and send it to Mindy Vogel (msvogel@fs.fed.us / 520‐388‐8327) by close of business December 28, 2012. For additional information on this position, please contact Mindy Vogel. This outreach is for a geologist / minerals administrator that will serve 5 Ranger Districts out of the Supervisor’s Office and have a primarily workload in locatable minerals administration. The duties will include a combination of both field and office work in support of resource management activities related to minerals and geology. The position will work directly under the supervision of the GS‐12 Forest Geologist/CMA in Tucson, AZ. The incumbent should have basic knowledge of the mining industry and the permitting process, including NEPA; however, the incumbent will receive a combination of on‐the‐job training, self‐study and formal classroom training. Tucson is an exciting place to work as a geologist with numerous large mines in the vicinity and a university with a great geology program. Working closely with miners on all phases of exploration, development, mining, and reclamation. On the CNF, this will include a heavy workload in locatable minerals (placer and hard rock mining of gold, silver, copper, and molybdenum) with some salable minerals (decorative stone, limestone and marble). Provide the public/miners with necessary information regarding mining laws, Federal and State regulations, and Forest Service policy. Keep the public/miners informed of changes in the regulations and laws. Performs review of Notices of Intent (NOI) and mining Plans of Operation (POO) while working with line officers to generate responses under legal timeframes. Serves as an Interdisciplinary Team Member within the NEPA process, conducts public and internal scoping, and prepares environmental documents. Coordinates with regulatory agencies in addressing other federal and state requirements. Computes reclamation bonds and monitors all operations to ensure bonds are sufficient as the operation progresses on the ground. Conducts independent field mapping and inspections of mining operations to ensure they are in compliance with the plan of operations, the forest plan, and applicable laws and regulations. Operations with specific monitoring needs such as water quality are sampled and monitored in cooperation with resource specialists. On the ground field administration includes daily contact with operators and members of the public. Works with miners and other resource specialists to ensure plans of operation are conducted in an environmentally sound manner. Works with the Forest Geologist to take appropriate action when miners are in non‐compliance with their plan. Office work will include: generating reports (including field notes, maps and digital photos); working with basic spreadsheets (MS Excel); generating maps using ArcGIS; inputting mineral data into national database; literature review; and organization of mining plans of operation project files. 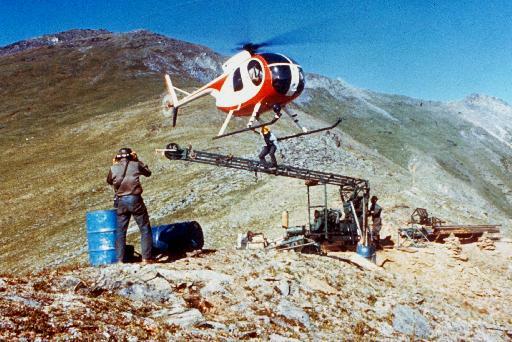 Other duties, as assigned, could include such tasks as working with abandoned mine land closures, identification and assessment of geohazards, cave resource advisory, preparation of mineral material reports, responding to Congressional inquiries on mining activities, assisting with mineral withdrawals, and more. An exploration corehole in the Timok copper-gold prospect in Serbia found as much as 160 metres @ 10.16 percent copper equivalent, making it "one of the most exciting drillholes of the year"according to a story on Mineweb.com. Phoenix-based Freeport McMoRan Copper & Gold owns 55% of the project and can increase that to 75%. Mineweb says the Timok was "a blind drill target that Freeport... identified through geophysics and confirmed at the drillbit mid-year with 266 metres @ 1.07 percent Cu." "Freeport finished the vertical drillhole at an astounding 1,947 metres and has reported drilling results therein up to 1,183 metres. The 266 metre copper mineralized intercept ended at 864 metres." In updating the Fiscal Year 2013 budget for AZGS, we now project that it will pass $10 million for the first time ever. Most of the funding is from contracts and grants (about 85% of the total budget). State General Funds (8.4%), publication sales, and carry-forward from the past year, make up the balance. About $5.5 million of the budget will go to state geological surveys and a few universities in 45 states, as part of the DOE-funded National Geothermal Data System project that AZGS manages. AZGS is becoming more self-supporting in response to declining state funding and our increased competitiveness in winning applied science projects from a growing array of funding sources. The outside funds are allowing us to maintain the level of services as before the recession despite our taking a roughly effective 45% reduction in State funding, and merger of the Dept. of Mining and Mineral Resources, with no funding for that. The USGS released the 1:50,000 scale Tuba City 30'x60' quad last week. Abstract: The Tuba City 30’ x 60’ quadrangle encompasses approximately 5,018 km² (1,920 mi²) within Coconino County, northern Arizona. It is characterized by nearly flat lying to gently dipping sequences of Paleozoic and Mesozoic strata that overly tilted Precambrian strata or metasedimentary and igneous rocks that are exposed at the bottom of Grand Canyon. The Paleozoic rock sequences from Cambrian to Permian age are exposed in the walls of Grand Canyon, Marble Canyon, and Little Colorado River Gorge. Mesozoic sedimentary rocks are exposed in the eastern half of the quadrangle where resistant sandstone units form cliffs, escarpments, mesas, and local plateaus. A few Miocene volcanic dikes intrude Mesozoic rocks southwest, northwest, and northeast of Tuba City, and Pleistocene volcanic rocks representing the northernmost extent of the San Francisco Volcanic Field are present at the south-central edge of the quadrangle. Quaternary deposits mantle much of the Mesozoic rocks in the eastern half of the quadrangle and are sparsely scattered in the western half. Principal folds are the north-south-trending, east-dipping Echo Cliffs Monocline and the East Kaibab Monocline. The East Kaibab Monocline elevates the Kaibab, Walhalla, and Coconino Plateaus and parts of Grand Canyon. Grand Canyon erosion has exposed the Butte Fault beneath the east Kaibab Monocline, providing a window into the structural complexity of monoclines in this part of the Colorado Plateau. Rocks of Permian and Triassic age form the surface bedrock of Marble Plateau and House Rock Valley between the East Kaibab and Echo Cliffs Monoclines. The Echo Cliffs Monocline forms a structural boundary between the Marble Plateau to the west and the Kaibito and Moenkopi Plateaus to the east. Jurassic rocks of the Kaibito and Moenkopi Plateaus are largely mantled by extensive eolian sand deposits. A small part of the northeast-dipping Red Lake Monocline is present in the northeast corner of the quadrangle. A broad and gentle elongated anticline, the Limestone Ridge Anticline, forms the crest of Marble Plateau. Here, Paleozoic and Mesozoic strata generally dip less than 1° to 2° in all directions from a central high area along Limestone Ridge north of Bodaway Mesa and east of Cedar Ridge and The Gap. The Limestone Ridge Anticline plunges gently southeast toward the Painted Desert at the south edge of the quadrangle and northward toward Lees Ferry, Arizona, at the north-central edge of the quadrangle. The Tuba City Syncline is a very broad northwest-southeast-oriented-synclinal downwarp that parallels the Echo Cliffs Monocline north of Tuba City. The Preston Mesa Anticline is a small fold present on Kaibito Plateau north of Tuba City. Excerpts from the abstract (published online in advance of the print publication) conclude that "the Silver Creek caldera, which straddles the eastern edge of the Colorado River extensional corridor near Oatman, Arizona, is the source of the Peach Spring Tuff. A fragment of the caldera identified in the midst of the extensional corridor is structurally juxtaposed with mesozonal plutons of identical age. The implied extension direction (182°–225°) is compatible with abundant previously published structural data for the region." 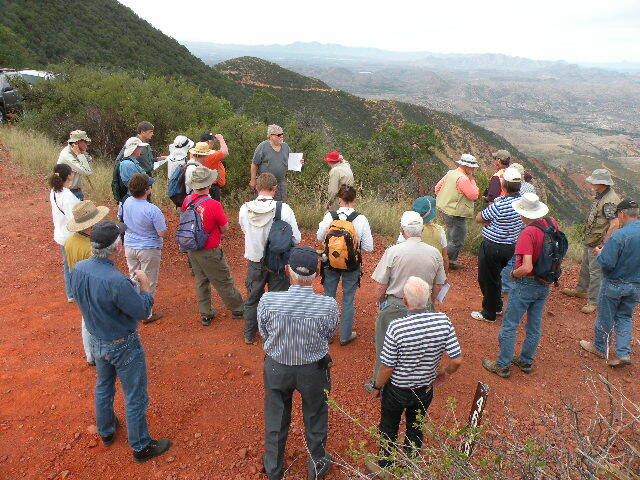 The Coronado National Forest planned to release the Rosemont Copper Project Final Environmental Impact Statement (FEIS) for public review in December, 2012. However, additional work must be completed before a decision is made and the Record of Decision issued, so the FEIS will not be available at that time. The additional work that must be completed includes consultation with the U.S. Fish and Wildlife Service; consultation with tribes and the State Historic Preservation Office; Army Corps of Engineers permit coordination; updating of air quality models; additional transportation analysis; integration of updated lighting mitigation plans; evaluation of socioeconomic impacts to the astronomy industry in southern Arizona; and consultation with the Forest Service Southwestern Regional Office. Exact dates for release of the FEIS are difficult to predict and depend on completion of the consultation and additional effects analyses. The Coronado will continue to anticipate project timeframes and keep the public apprised and informed. In the process to refine project alternatives and mitigate impacts, the Coronado requested Rosemont reconsider various aspects of their operations. This request was based, in part, on several of the more than 25,000 comments received on the October, 2011 Draft Environmental Impact Statement. Rosemont’s August 2012 Feasibility Update Report reflects environmental and operational refinements, such as addressing groundwater quality concerns and improvement of storm water management for the benefit of downstream resources. New information resulting from Rosemont’s Feasibility Update Report will be reviewed and considered as the CNF continues its ongoing analysis. Investment funds are constantly increasing or decreasing their investments in different mining companies and different commodities. One tidbit coming across my desk this morning from Mineweb.com says Soros Fund Management run by billionaire fund manager George Soros' "nearly tripled its position in Freeport-McMoRan Copper & Gold, SEC filings showed Thursday," from "385,000 shares in the second quarter to 1,295,558 shares in the third quarters." There are recent financial analyses arguing that copper production capacity is not keeping up with growing global demand. I don't know if that is what might be driving this interest in Freeport. The Fraser Institute, Canada’s leading public policy think-tank, conducts an annual survey of how miners and explorers rate the investment climate of jurisdictions around the world. The results identify the countries, states, and provinces whose policies create the greatest barriers to investment in the mining sector. We are asking for your help in encouraging your readers to participate in the 2012/2013 survey. Greater participation will help to ensure that the results reflect the views of professionals with first-hand knowledge of the mining investment climate in countries around the globe. Broad involvement in the survey will also increase the number of jurisdictions evaluated, thereby providing more governments with candid and anonymous opinions on their mining policies. All information collected through the survey remains confidential. The survey can be completed online in less than 15 minutes and participants will be thanked by receiving an electronic copy of the survey at the time of its release, as well as being entered into a draw to win $1,000 (Canadian). I would be happy to provide sample content for ads and newsletters. Please don’t hesitate to contact me if you have any questions or if you are able to help us increase participation. It may be time to re-examine the potential for rare earth elements (REE) in Arizona. The conventional wisdom is that we have only minor amounts in a few pegmatites. But Virginia McLemore from the New Mexico Bureau of Geology and Mineral Resources may have dispelled that as a myth, with her talk at the Arizona Geological Society monthly dinner meeting on Tuesday. As she spoke one question became obvious - couldn't there be similar deposits here?. We have many of the same types of rocks in Arizona, some part of the same belt as REE-bearing rocks in New Mexico. Well, before we had a chance to raise that question, Ginger made the point herself. After her talk, I asked why there is such a big difference between the New Mexico and Arizona maps showing REEs. Her response was that she had led a state-wide REE assessment starting in the 1980s while Arizona has not done similar. To emphasize that, Jim Briscoe reminded us that an announcement by Liberty Star Uranium & Metals Corp. (August 13, 2012) described the company's Hay Mountain block of their Tombstone project in Cochise County, which consists of 57 unpatented federal lode mining claims in addition to Arizona State land leases (Mineral Exploration Permits, “MEPs”). 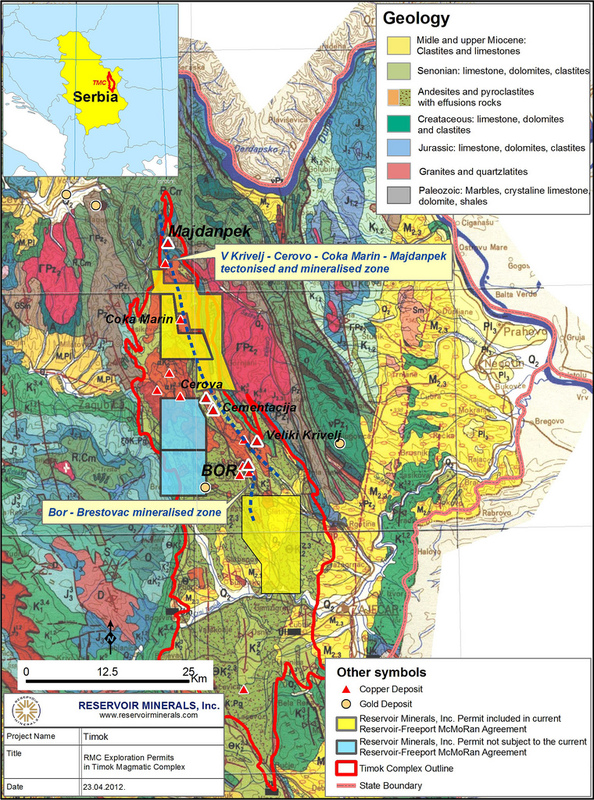 They state that their "land position covers geologically, geophysically, geochemically indicated completely covered porphyry copper- moly-silver-gold, and rare earth element (REE) mineral center." "Liberty Star has recently discovered a large intrusion indicated by an aerially extensive low flight level magnetic survey under and partially exposed in and around the Tombstone caldera. Mineralization is clearly associated with this intrusive body." Could Arizona have a lot more REEs than we think? It's a possibility. GeoDaze is a student-run symposium organized by the Department of Geosciences at the University of Arizona. Funded on the generosity of private donations, the symposium allows graduate and undergraduate students an opportunity to showcase their research. 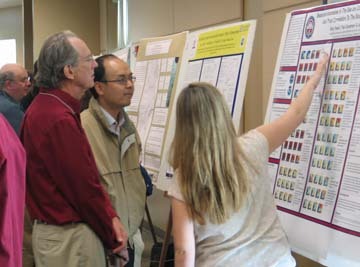 [Right, GeoDaze student and faculty judges discuss a poster during the GeoDaze poster session] GeoDaze has been held every spring since 1973. Every year, the symposium covers a wide variety of topics: paleoclimatology, seismology, dendrochronology, geophysics, isotope geochemistry, and economic and structural geology, to name a few. But, GeoDaze is not simply an intradepartmental event. Guests join each year from governmental and private agencies and each year a distinguished scientist is asked to be the conference’s keynote speaker. The purpose of GeoDaze is to provide students a forum in which to present their research and to receive valuable feedback from faculty, alumni, and their peers. For many, this will be their first attempt at an oral presentation of their research and feedback will be invaluable. In addition, best student presentations and posters receive hundreds of dollars of prize money, made possible by the generous donations of our sponsors. At the end of the conference, a slideshow of student and faculty photos celebrates our travels & research over the past year, and on Saturday, students, faculty, alumni, friends and family enjoy a GeoDaze field trip. The mine's history extends back to 1873 and last commercial production was in 1996. The Canadian-based company expects its NI43-101 report to be completed in December, but historical resource estimates show 379 million pounds of copper (8.14 million tons of ore at 2.33% Cu). Kevin said they drilled 443 core holes totaling 161,000 feet, but 60% of the property is still unexplored. They expect to produce about 2,000 tons of copper per year for a mine life of 10-12 years. All of the production has been pre-sold to an investment company that will take shipment of the concentrate locally. 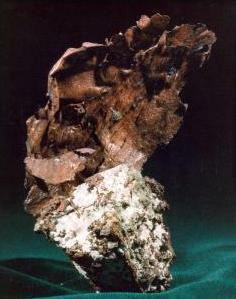 Most of the copper is in a skarn in Escabrosa limestone overlying the Leatherwood granodidorite stock, which is the source of the alteration and mineralization. The existing workings total 11 miles which all underlie private lands which has allowed permitting to move quickly. Kevin commented on the support from the community of nearby Oracle to re-open the mine, noting that he has met so many people that have some tie to the mine. He asked for a show of hands of who in the audience had a connection and I estimate more than 20 hands were raised. The National Mining Association has released a "new and completely redesigned educational tool kit, which explains what minerals mean to America, the challenges facing the U.S. mining sector and solutions to ensure the U.S. has long-term supplies of the minerals we need to ensure national security and economic prosperity." Arizona is highlighted as having the second largest non-fuel mineral production in the U.S., behind Nevada. Going through my backlog of emails and notices, I found a story from last month that offered an update on copper mining developments around the state and particularly their impacts on jobs. It's a quick read and good wrap up. 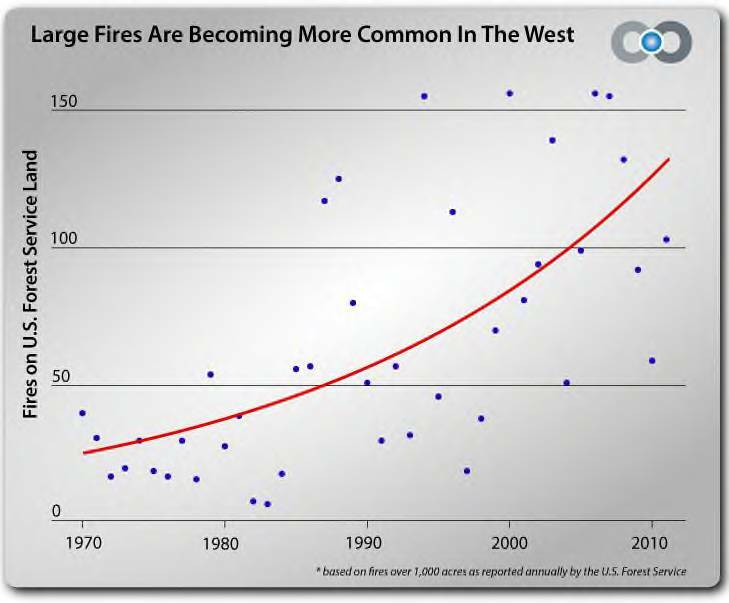 A new study of historical wildfires in the western U.S. shows a frightening trend. Reuters report, "The average annual number of fires that cover more than 1,000 acres has nearly quadrupled in Arizona and Idaho and doubled in California, Colorado and six other Western states since 1970," according to analysis by Climate Central. "The report, which analyzed 42 years of records about fires on U.S. Forest Service lands in 11 Western states, linked rising spring and summer temperatures in the region to a fire season that begins earlier, ends later and sparks larger, more frequent blazes. Those include so-called megafires, or blazes that raze upward of 10,000 acres. Those fires erupted at a rate seven times greater each year in the past decade in the western United States than in an average year in the 1970s, according to the report." Forbes magazine online ran a feature story entitled "How Arizona Is Helping America Reduce Dependence On Foreign Natural Resources." The author concludes, "if you had to choose a location to build a mine, few spots seem any more hospitable than Arizona. 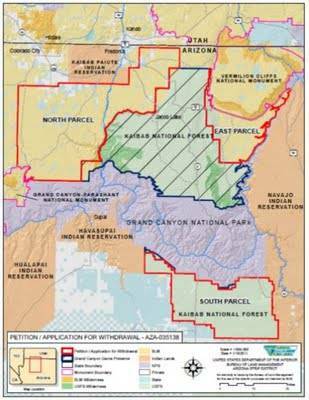 Much of the drilling will occur on state lands which are actually owned by the “Arizona State Trust” (AST) and is regulated by the Arizona State Land Department. The AST will receive a small royalty, in the neighborhood of 4-5% of revenue and 90% of those funds collected are distributed to the public school system. Second, if the mines actually do get built and go into production, each mine may create over 750 new jobs, which would become available in an impoverished area of the state. Arizona views the Holbrook Basin a as a potential economic growth engine and is not looking to be obstructionist." The online investment site Seeking Alpha had an article focusing on Arizona potash and Passport Potash in particular, at http://seekingalpha.com/article/987051-arizona-the-next-big-thing-in-potash-grow-your-portfolio-with-this-potash-junior . The article contains a number of good external links to other articles information sources including thewww.nestedquotes.ca interactive Holbrook land and drilling map. 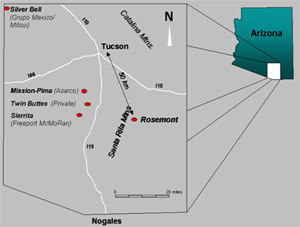 The Coronado National Forest will host a round table information session for members of the news media and congressional representatives and their staff regarding the Rosemont Copper Project on Friday, November 16, from 12:30 to 2:00 p.m. at the Tucson Interagency Fire Center, 2646 E. Commerce Center Place, Tucson, AZ. Topics to be discussed include the project Environmental Impact Statement schedule and outstanding issues. A hearing was held in federal district court on October 26 in Phoenix on the move by U.S. government and anti-mining groups to throw out suits over the Interior Dept. 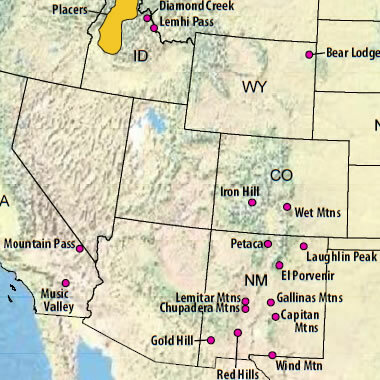 withdrawal of a million acres of federal lands from mineral exploration and mining [right, withdrawn areas bordered in red. Credit, BLM]. We've heard reports on the hearing from a couple of observers who were there. We haven't seen any news reports of the hearing. We understand the miners and mining proponents collectively had eight senior attorneys present; the federal government had one, who was described as young, with apparently limited experience. Our sources say that environmental groups in the audience were passing notes and papers to the federal attorney during the hearing. The judge was described as "incredibly good, polite, attentive, intelligent, and had done his homework even though he apologized for not having read the briefs as thoroughly as he should have." He said he would have his decision in several weeks and would at that time set up future hearing dates -- from which some construed that he isn't planning on throwing out the combined set of cases from mining interests. It appears that at this stage, the US/anti-miners position is that those who own claims had no damages from the 20-year withdrawal. The mining industry has to get past this move to have the case thrown out on the basis of no damages before they can argue the issue of the withdrawal itself. If any other attendees have comments or observations on the hearing, I'd like to hear them. Wildcat Silver is transitioning from more exploration drilling to developing a mine plan of operation, according to a company official who briefed the Arizona Mining Alliance on Friday. Wildcat's Hermosa project near Patagonia, just north of the Mexico border, has a reported resource of 315 million ounces of silver with expectations of producing 15.5 million ounces per year, which would make it the largest silver mine in the U.S. The company's web site says "The project currently hosts a measured and indicated resource of 236 million ounces of silver plus an inferred resource of 79 million ounces of silver. 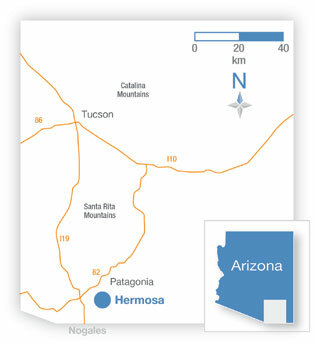 Hermosa’s current PEA estimates over 15 million ounces of silver production per year for the first five years of production, and a 16 year mine life. The Company expects to complete a pre-feasibility study by the end of the second quarter of 2013"